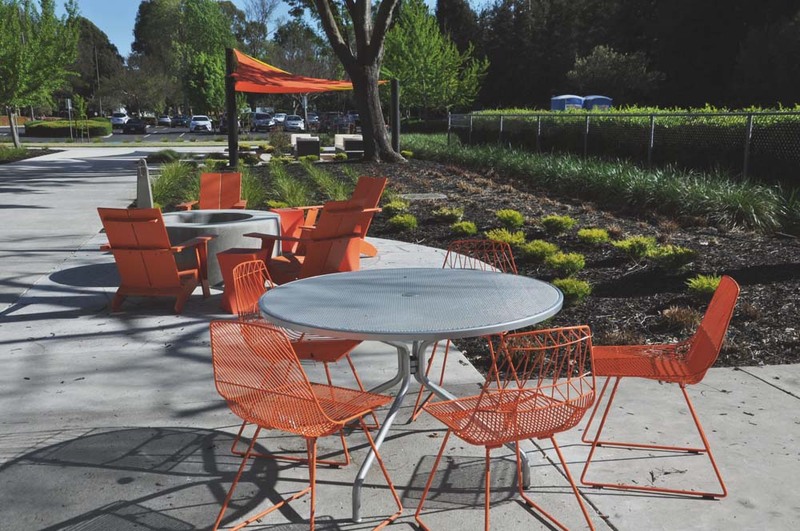 Site furnishings are an integral part of many landscape projects. Spaces for people should be interesting and comfortable. We consider site conditions, such as sun and heat, expected uses, security, and maintenance when selecting appropriate furnishing and finishes. Below are a variety of successful furnishings we’ve specified on corporate projects. 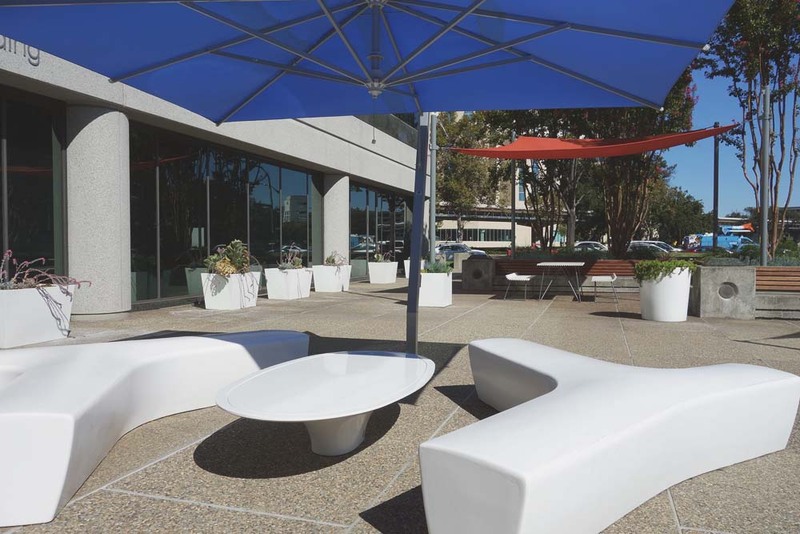 The simple, clean curves of these pieces add a modern flare to the outdoor employee spaces. 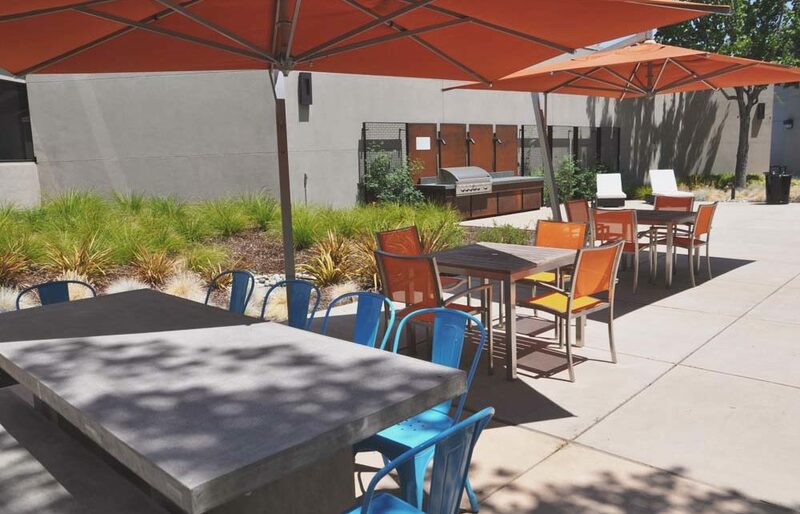 Metal and concrete materials make them easy to protect and maintain in a quasi-public area. Since the Escofet Twig is modular, it can also be rearranged into interesting layouts. 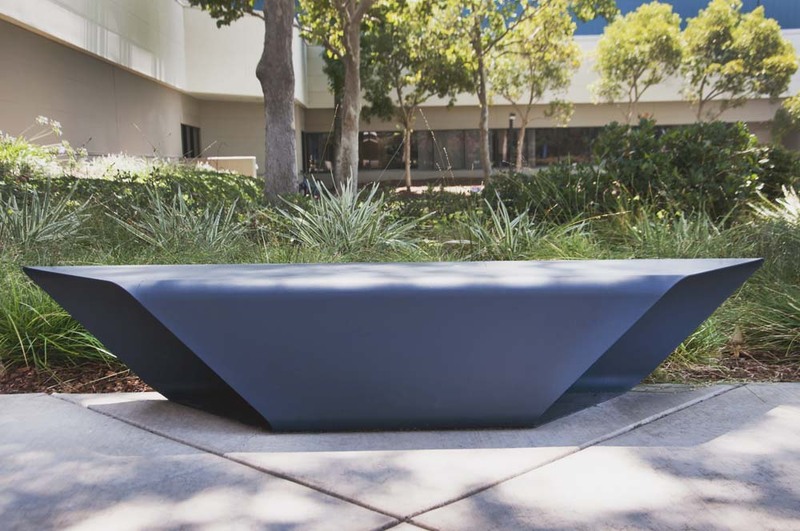 Angular and functional, the bench’s hollow design produces an airy effect when viewed from the side. 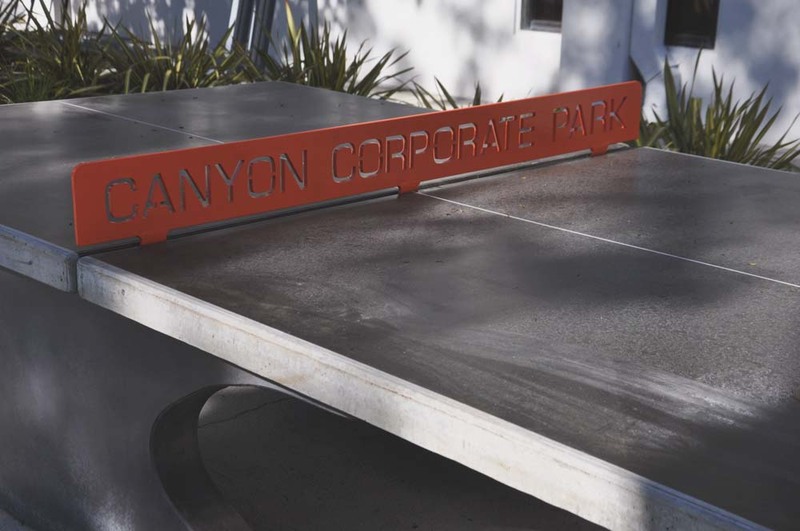 It’s great for outdoor office retrofits, where it can be placed and bolted down. The Section is also light enough that it can be adjusted without heavy equipment. This concrete ping pong table a gives employees a chance to get out of their chairs and go outside for some fun on their break. The metal net minimizes maintenance and provides the opportunity to customize it to the project. The Landscape Forms Mingle provides a table and chairs for as few as 2 and as many as 6 people. For this project, we used the 2-seater alternated with the shaded 4-seater. 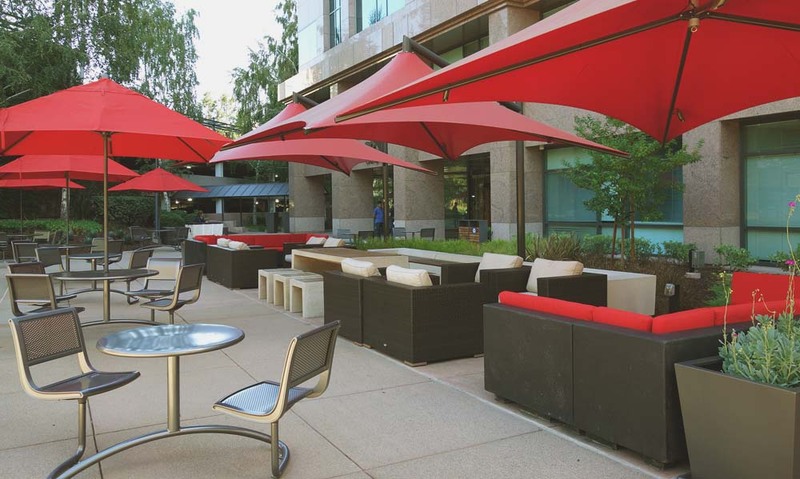 Variety was added with the Laguna lounge chairs, suitable for longer outdoor meetings where comfort is more important. Relaxed character and bright colors add an element of fun to this outdoor space. These chairs are lightweight and flexible, allowing users to adjust them to their needs.